Economic, Marketing and Social changes can impact the operations of a non profit. Dr Herzog offers both Strategic Planning and specific resolution services. Every day, people are inspired to start a nonprofit to help serve their community. 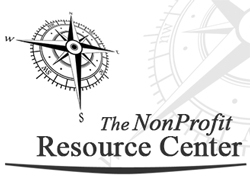 Starting and sustaining a nonprofit are not easy tasks. Dr. Herzog can assist you with questions you need to answer before starting a nonprofit, filings you’ll need to complete at the federal and state level, and the standard policies and procedures that your new nonprofit will want to have in place.